Tensile Testers - Spot Weld, Inc. 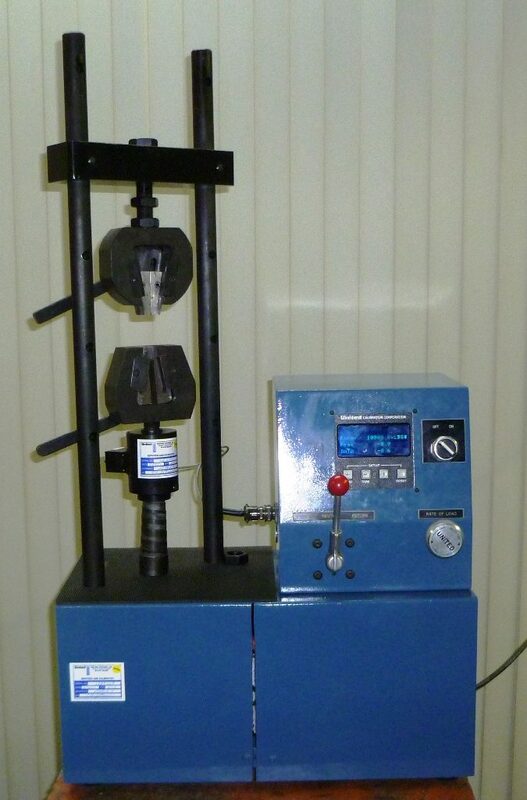 Some welding specifications, like AWS D17.2, require tensile testing sample specimens to qualify the machinery. A typical weld specimen is 1″ wide and 4″ long. The overlap is typically 1″, making a welded specimen that is 6-7 inches in length. A single weld of common material thickness typically will not exceed 5000lbsf of tensile strength. (Exceptions of course exist). 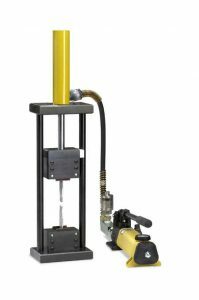 Here are two common tensile tester options: 0-5,000lbsf tester, and 0-10,000lbsf tester. If your specific application requires compression (or “push-out”) testing, please let us know when you are shopping. 31″H x 7″W x 4″D (Tester; ); 6″H x 4″W x 14″D (Pump), 34 lbs. Pi Model XS with GageSafe Software for Live Load, Peak Load, Loading Rate, Live Stress, Peak Stress, Storage Capabilities and Statistical Analysis. Often available refurbished in the $10k-12k price range.